With a huge network of affiliate partners, Stellar aims to reach the highest level of success in the field of data recovery utilities. 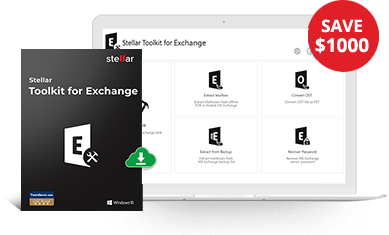 Stellar gives you an opportunity to monetize your website by offering your customers some of the best data recovery utilities at competitive price. You develop a huge client base while earning a good amount as your commission every month. Stellar Data Recovery Affiliate Program is hosted on Digital River One Network Direct. It helps you build your online marketing business with attractive payouts, marketing strategies, seasonal discounts, coupons and many freebies with various downloadable products. As an affiliate, you can earn a handsome amount every month without worrying about any post sales issues. Excellent 24/5 customer support ensures high level of customer satisfaction. Unlimited Earning Potential – You can write you own paycheck by selling some of the most popular Data Recovery Utilities of Stellar Phoenix. Start Earning from your First sale – Yes, there is no threshold to reach before you start receiving your payment. No Joining Fee - You can join Stellar Data Recovery Affiliate program free of cost. Secure Payment Gateway – Your customer has the option of making payment through our secure gateways. Payments are processed through Element 5 which is a transaction engine for Digital River One Network Direct. Zero Operational Cost - Your operational costs are greatly reduced because stellar provides you with all the relevant tools, training, advertising material etc. Convenient Payout Method - You can receive payment either through check or wire transfers. 24/5 Technical Support - A dedicated technical team takes all the technical issues off your head. You need not worry about customers who need step by step instructions or those who need expert guidance on technical issues. Technical support is available on phone, chat and email. Stellar is an established brand in the market. All products are downloadable therefore it is delivered to the user immediately. Stellar takes care of all post sales issues. Stellar Data Recovery tools are available in various European languages like German, French, Italian, Spanish etc. No technical expertise is required for using Stellar Data Recovery and Repair products. The products are equally useful for Individuals/home users , technicians and administrators as well. You must have a website/blog of your own. Preferably the content of your whole website should be related to Computers/software utilities/ downloadable products. Apart from providing a flat 30% payout on all our products, Stellar is going to launch a highly rewarding bonus program that will entitle you for up to 50% commission in a month.